The Internet is a great place to shop for used cars, featuring stellar deals from some of your favorite exporters. The only problem with buying cars online is that you aren't able to physically see them until they arrive, making some buyers hesitant about the process. Fear not, buying online can be just and safe as going to your local dealer. To make sure you're getting the car you really want, use these smart ways to distinguish a neat used car on the Internet. These are the most common problems facing used vehicles. Most used car dealers offer these inspection services or can guide you to a recommended shop. You should also be able to ask the seller for an inspection report to make an informed decision before you buy. Photos are your valuable assets as they give you an indication of any cosmetic damages done to the vehicle and the general condition of your future car. Don't just look at the color, make, and model of the car, but look for dings in the exterior and any rips or tears in the interior. A neat used car should have plenty of photos for you to look at, all taken from the same day so that you can get an indication of the trustworthiness of the seller. If you are having trouble seeing the vehicle from the limited number of photos offered, ask the seller to provide some additional photos for your review. Look up some local listing for the same car and check online competitors for the approximate worth of the car. When calculating the total price you expect to pay, remember to add in the cost of insurance and freight for shipping the car, including any duties or import fees that will be imposed on the vehicle once it arrives. Just because a vehicle is set at the lowest price doesn't mean that it's in good condition. Invest the money into buying a quality vehicle that won't cost you thousands in repairs after you buy it. Look for reviews or testimonials of previous buyers that have used the same service. This is oftentimes one of the best indicators of whether or not the deal is legitimate. PicknBuy24.com is a Japanese auto exporter with a website full of nearly 800 positive reviews of their service. This is a perfect example of a reputable company letting their happy customers do the advertising for them. Do some research on the company and find out some basic information about whom you're doing business with. Does the company accept claims, and how long have they been in business? Businesses that accept claims demonstrate that they care about their customers, and that they are willing to take responsibility and stand behind the products that they sell. These are the type of companies that you want to do business with. Finally, is the exporter a member of any organization that provides additional accreditation? 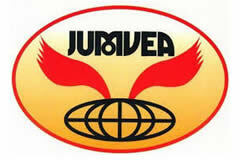 Select a Japanese exporter that is a member of the Japanese Used Motor Vehicle Exporters Association (JUMVEA). JUMVEA helps to weed out fakes or scams and provides a list of approved companies; this association has been around since 1995 and helps to maintain fair trade within the industry so that you are getting a great deal and buying from someone you can trust.